Each 6-Pc. Bath And Body Gift Set makes a wonderful gift idea for a special woman. 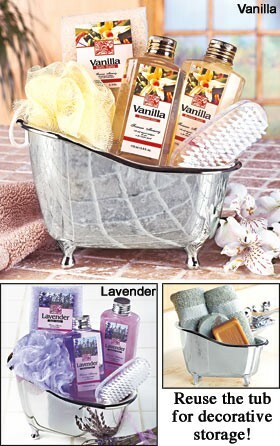 Whimsical footed tub is filled with lusciously scented bath products and quality accessories. Select from Vanilla and Lavender.